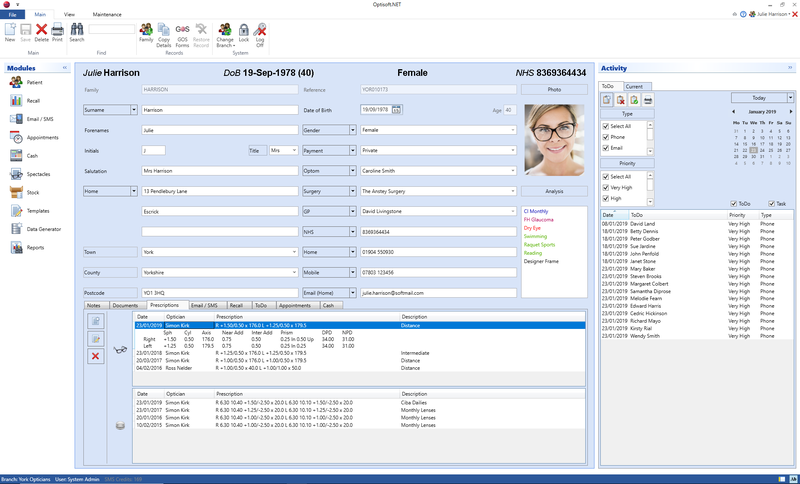 The Optisoft.NET Patients module is the core of the system and enables you to safely & securely store patient information, automate patient communication & easily view reports. With its multi-branch architecture, choose to have your data hosted on our secure servers, or installed locally on your internal network. Tailor Recalls to your needs and communicate with your patients based on their preferences using SMS, Email, Letters, Labels or ToDo’s. Create custom templates for all your practice needs with no need for external word processors. 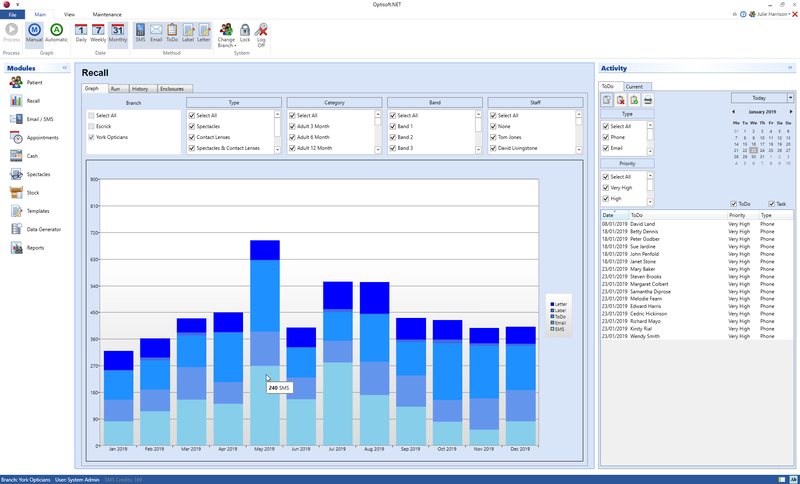 View in-depth reports of all your data and statistics as required.